The Society’s oldest living member, Stephen Marsh Straight, passed away on January 28, 2015, in Deland, Florida. He was 97. Mr. Straight was born in Connecticut, in 1918, the oldest son of Frank B. Straight, a farmer, and Annabelle Marsh Straight of Marbledale, CT. In 1940, Mr. Straight earned a Bachelor of Science degree from the University of Connecticut. Mr. Straight was a World War II veteran. On March 25, 1941, he enlisted as a private in the U.S. Army in Hartford, CT, and served until the end of the war. Details of his military service were unfortunately destroyed (along with 18 million service records) in a devastating fire at the National Personnel Records Center (NPRC) in 1973. Following the war, Mr. Straight spent 17 years of his professional career as the postmaster in Marbledale, Connecticut. In the 1950s, he began researching and writing articles for various trade magazines. And, in the late 1960s or early 1970s, he joined a newly chartered organization – the Pioneer America Society, which is better known today as the International Society for Landscape, Place, & Material Culture. For at least three decades, Mr. Straight was an active member of the Society, faithfully attending the annual meetings and presenting his latest research on a wide variety of topics. 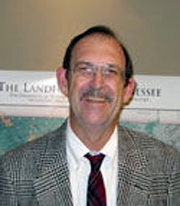 A short list of his presentation titles include Aerodynamics in Vernacular Buildings, Armories, History of American Brick Work, Marble in Marble Dale, Connecticut, One Can Tell History by Quilts, Railroad Bridges When They Had Slim Girders or Beams, Ranch Houses, Scot Highlanders in the Cape Fear Region, and Stone Walls. At the annual meeting in Bardstown, Kentucky, on October 19, 2001, the Society presented Mr. Straight with a special award of merit. The plaque, accompanying the award, read in part, that “an award of merit . . . is hereby presented to Mr. Stephen M. Straight in grateful recognition for his years of dedicated participation and his adherence to the principles and ideals of the Pioneer America Society.” In making the presentation, Michael Struble, a member of the Service Awards Committee at that time, noted that Mr. Straight was loyal in his attendance at annual meetings, was forthcoming in presenting papers at these meetings, and was an active participant on field trips. However, Mr. Straight was not yet ready to retire from his active participation in the Society’s annual meetings in 2001. In fact, he continued to attend for another three years until Father Time finally caught up with him. His last meeting was the Buck County, PA Conference in 2004. Still, Mr. Straight continued to keep in touch with the Society’s former Executive Director, Artimus Keiffer, until Dr. Keiffer’s untimely death in 2011. And, when Society members, Alex and Noreen Bobersky, visited him at the Florida Lutheran Retirement Center in Deland, Florida, in the Fall of 2011, they reported spending a delightful afternoon with an alert and vigorous 93-year-old Mr. Straight. 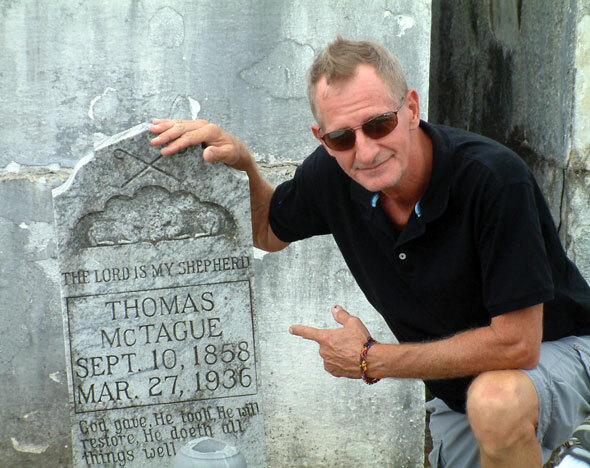 Mr. Straight is buried in the Hollywood Cemetery in Volusia County, Florida. For those Society members, who fondly recall him, Mr. Straight will be missed. Martin “Marty” Charles Perkins, a lifelong resident of Mukwonago, Wisconsin, passed away on November 3, 2012, at the age of 61. He was born on January 23, 1951, the cherished son of Robert Charles and Carolyn Virginia Perkins. Marty graduated from Mukwonago High School in 1969. He received a Bachelor of Arts degree in American History from Carroll College in Waukesha, Wisconsin, and as an undergraduate, was a student of Charlie Calkins, a past Executive Director of PAS: APAL. Later, Marty received a Master of Arts degree in Urban Affairs from the University of Wisconsin, in Milwaukee, Wisconsin. On August 5, 1978, Marty married Suzanne Lee Goad in the Perkins’ family backyard. Marty’s entire career was invested at Old World Wisconsin in Eagle, Wisconsin. After graduation from the University of Wisconsin-Milwaukee, Marty began working at Old World Wisconsin as a Restoration Specialist. Over the years, he worked as a Research Analyst and the Chief of the Research Section until he finally became the Curator of Research, a position which he held until his untimely passing. At the same time, Marty joined the Pioneer America Society: Association for the Preservation of Artifacts & Landscapes and became a very active member of the Society for nearly two decades. During that time, he presented a number of professional papers at the Society’s annual meetings, penned several book reviews for Material Culture, and composed a variety of articles for PAST (Pioneer America Society Transactions). His favorite topics included museum exhibits, barns, cobblestone structures, and the restoration of historic buildings. In addition, from 1989 to 1992, Marty served as the assistant to the editor of PAST In 1991, he co-chaired the Society’s annual meeting with Charlie Calkins in Milwaukee, Wisconsin and treated conference goers to a day-long tour of Old World Wisconsin. In 1992, he assumed the editorship of PASTand served in that capacity for 13 years until his resignation in 2005. In the Fall of 2005, the Society named Marty as its annual Henry H. Douglas Distinguished Service Award recipient. Marty is survived by his mother, Carolyn Perkins, who still lives in Mukwonago, Wisconsin, and by his cherished wife, and best friend of 34 years, Suzanne Perkins. He was the proud and inspiring father of Lindsay Ann (Luke) Spielman, Robert Charles (fiancée Natalie Schnick), and Scott Martin. He was the loving brother of Linda (Dr. Thomas) Schmidt, dear uncle of Amy Rosenberg and Alison Schmidt, and treasured son-in-law of Irene Goad. He is further survived by many loving relatives and friends. His timeless connection to Mukwonago was a source of pride. Marty was active in his community and church. He was a 2005 inductee into the Mukwonago High School Hall of Fame. His family welcomed friends to the First Congregational Church of Mukwonago on Thursday, November 8, from 4:00 PM until 6:45 PM with his Funeral Services beginning at 7:00 PM. Interment was on Friday at 10:00 AM at Oak Knoll Cemetery, Mukwonago, WI. Memorials can be made to the Marty Perkins Fund at Old World Wisconsin, P.O. Box 69, Eagle, WI 53119, or to the First Congregational Church of Mukwonago, 231 Roberts Drive, Mukwonago, WI 53149. One example of Artimus’s fun-loving spirit is the slideshow he had created to announce the upcoming conference in Stuart, Florida. Check it out here. 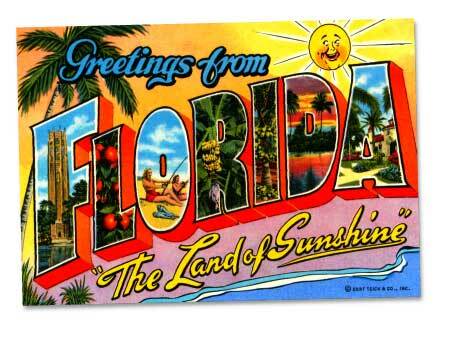 Keep in mind that the 2011 PAS:APAL Annual Conference will still take place in Stuart, October 12 – 15. Find current information at the PAS:APAL website Annual Conference link.